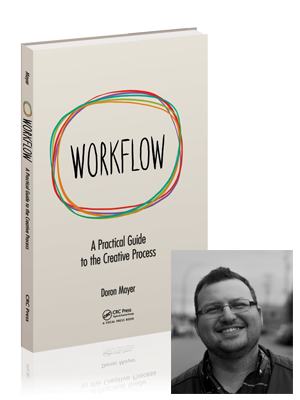 Workflow is a practical guide to a smooth and dependable creative process. Workflow achieves all this (and much more) by focusing on the creative process as a standalone skill – a skill that, once mastered, can be used in any creative field and in any type of project. You can get Workflow from most Amazon shops around the world, and also directly from CRC Press. Check out the resources page for extras such as printable summaries, wallpapers, templates, and more. Find more workflow tips, thoughts and examples on the blog. Follow the Facebook page and/or Twitter feed to get daily workflow inspiration and reminders. That’s where you’ll also hear about new blog posts, upcoming lectures, singing events and other updates.